gaming | If not now, then when? Games have been a hobby of mine for as long as I can remember, my earliest memory is playing Mario Bros on the NES on a friends rear projection screen. Not only were the graphics amazing, the screen was nothing short of massive. I held the stubby controller with a death grip and for my shame got into a fight with my brother when it was his turn – ah youth. 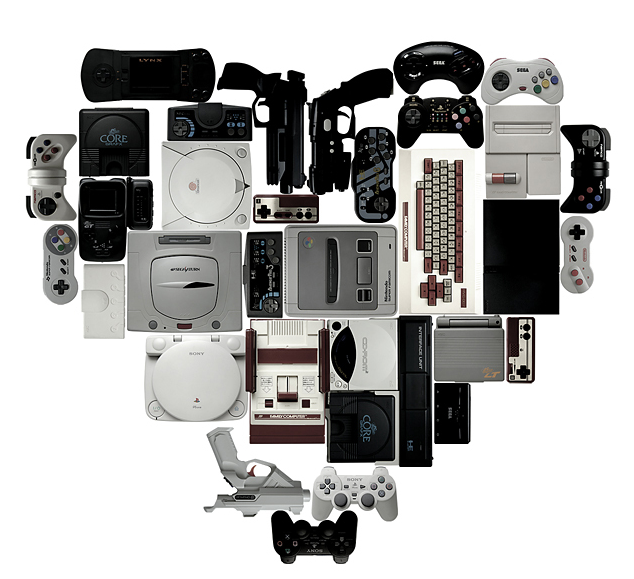 Since then I’ve owned a plethora including: NES, Master System, SNES, Megadrive, Mega CD, 32X, Multimega, 3DO, Amiga 500+, Sega Saturn (PAL), Sega Saturn (JPN that played video CDs), Dreamcast (JPN), Dreamcast (PAL), Gamecube (PAL), Gamecube (JPN/NTSC), PS2, Xbox (NTSC) Xbox (PAL), Xbox 360 (x3 due to RROD), Gameboy, Gameboy Pocket, Atari Lynx, Gameboy Advance, DS, 3DS and a brief flirtation with a Barcode battler. And although my collection is a lot smaller these days and I don’t play nearly as much as I used to, I still love it. I am also fortunate to live near Southend seafront, which has ‘The Golden Mile’ a strip of arcades. Now in the heydays of the late 80s and early 90s, the arcades were the place to be. Cutting edge hardware and cabinet designs drew players from all around, I have many fond memories of playing hydraulically assisted games like Afterburner 2 and Chase HQ. Big screens, big graphics and big noise, to a youngster this was Mecca. It was even reasonably priced to keep people coming back, 10/20/50p a go depending on the game, but this was not to last. The Arcade as a concept was on borrowed time, its main appeal was that it offered a something you simply could not get a home. Like any new technology, it emerged on the market and was so far ahead that people had no choice but to come to the arcade to get access to it. Profits soared. However consoles soon began to catch up and games such as StarFox on the SNES offered a glimpse at what was to come, 3D graphics, once the domain of the arcade, were coming into the home. With the advent on the PSX (soon to become the Playstation) and the Saturn, things began to change these consoles offered serious graphical power in compact environment. The Saturn handled competent Model 1 arcade conversions, the board that powered such classics as Virtua Racer and Virtual Fighter. Not content with hosting home conversions of arcade boards, System 11 and ST-V offered console hardware as an arcade board. Offering arcade developers a juicy extra revenue stream once their game had run its course in the arcade. But the consumer began to ask a question, why go to an Arcade when I can play a similar game at home. More importantly why go to the arcade and spend a lot of money each time, when I can buy the game and use it at home forever? The arcade had become a commoditised technology, consoles had caught up to such a degree that the consumer saw little benefit to arcade games. So arcade manufacturers began to try anything to get consumers attention – Dual Cabs, Quad Cabs, Specialised controllers (basic pistols in Lethal Enforcers to shotguns in House of the Dead and MP5’s in Virtual Cop 3). 18 Wheeler by Sega offered consumers a Deluxe cab decked out as an American haulage truck, replete with massive steering wheel. To cover costs, prices spiked to £1, £2 even as much as £5 for super deluxe cabs, forcing consumers to pay inordinate amounts for a short term hit. Unsurprisingly, this approach did not succeed as it failed to address the underlying issue. Although the “tinsel” was better, the gaming experience was much the same as the cheaper, more convenient and cheaper consoles. Consumers stayed away and one by one the arcade’s died, to be replaced with gaudy gambling machines surrounded by cabs that quickly fell into disrepair. In the mid 90s, as the arcades around the world crumbled; we entered what the golden age of gaming with that of the Playstation/Saturn. The reason for this simple, stepping from a SNES or Megadrive to CD based polygon based graphics, with CD quality sound and FMV felt like you had the arcade right at home. Playing arcade conversions of games Ridge Race and Sega Rally simply was not possible until that generation. The world had opened up for gamers, it was an amazing time for gaming as each new release sought to out do the last. Consumers bought them in droves, and continued to do so throughout each subsequent generation, until now. Consoles now face the same problem that the arcades did so long ago, a new challenger has arrived to disrupt the status quo. In the late 90s and early 00s the mobile phone offered little that compete with the power of home consoles (Nokias N-Gage gaming phone gets an honourable mention). Snake or breakout could hardly hope to best the likes of Metal Gear Solid or Panzer Dragoon Saga. However the clock was ticking and by late 2009 we started to see games explode on mobile, some offering “close to console” graphics. Phones and tablets now had the power to offer quick fix gaming anytime, anywhere. You were no longer required to stay in one place to get your fix and it was also a lot cheaper (sound familiar?). For the casual gamer, there is little need to invest in a home Console, when they have everything they need in the palm of their hand. We are yet to see the long term ramifications of this, but looking at the dismal sales of the Wii U they must worry not just Nintendo but Microsoft and Sony as well. 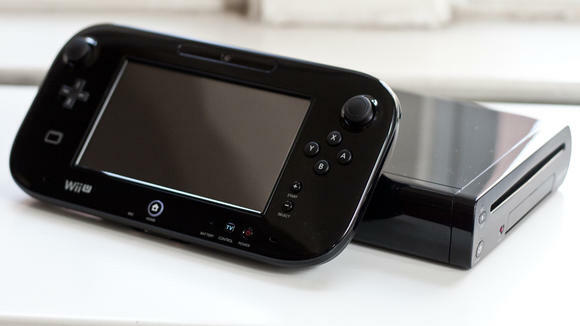 If you look at the Wii U its main selling point is a tablet controller that seems to say “Hey you like tablets? Don’t leave, we got tablets!”, it stinks of a company trying to shoe horn in a competitors feature. It feels like a Hail Mary. Microsoft and Sony are also making ‘innovative controllers’ a big part of their next gen systems with Kinect 2.0 and Move both to be included in the box. Yet for all its initial charm ‘waggle’ has never really held my interest and I feel that due to the amount of shovelware for both the Wii and Kinect plaforms the consumer is also burnt on the concept. With the Xbox 360 generation of consoles one of the main selling points was HD gaming, like the switch from 2d to 3D there was a clear easy to digest benefit to switching. However with this new generation there is not that clear, killer feature – sure the games will look prettier but I am still amazed at what they are pulling out of the current 360 (have you seen Halo 4? That is one damn good looking game!). Rumoured specifications, the consoles themselves are not as powerful as expected compared previous generations you would normally expect a power leap of 10-15 . Compare Ps1>2>3 or SNES > N64 > Gamecube, when comparing them side by side it was instantly obvious which was the more powerful console. So to review, a weaker than expected console, comes to market against a faster, cheaper competitor platform that is already in the hands of millions of consumers and has an consumer upgrade cycle of 18-24 months. This in itself would present a challenging situation, but not insurmountable but add in the fact of global recession and the situation looks bleak. If consumers finances are under pressure already, spending upwards of £399 on a new console and games is unlikely when the consumer has a decent gaming device for ‘free’ on their phone. I am talking about Free to play and In App Purchases. Free to play games offer a low barrier to entry but then ask the player to purchase in game items to progress, in app purchases are the method of acquiring said items. All fine in theory with the occasional game but it now feels that every game (indeed free or paid) is moving to this new model of ‘buy now, pay later’. Boy do they pay! To earn enough money to buy every car in Real Racing 3, what would it take? Our numbers show that it would take over 472 hours to earn enough money to buy all of the cars in the game. Or to purchase all of the cars with real money via in-app purchase, it would cost $503.22 at the current best rate. To earn all of the cars in the game rather that buy them with real money, a player would need to finish 6,801 races with an average (per our RR3 stats) of 4:10 per race earning R$3,700 per race. That would equal 472 hours to earn the R$25,163,573 it would cost in the in-game currency to buy all 46 cars. That does not include the cost for repairs, maintenance, or upgrades which can be rather expensive. If a player wanted to take the shortcut and buy all of the cars in the game with real money, that would cost $503.22 in in-app purchases. That’s assuming the current best rate of R$50,005 per US$1 when buying R$5,000,000 at a time. Let’s compare the cost for Real Racing 3 to modern day console games, what could be purchased for that $503.22. For one example, a player could get a 4GB XBox 360, Forza Horizon (one of the newest racing sims on the 360), all of it’s DLC including over 127 cars, and a 22″ Vizio flatscreen LED TV. And still have $17.22 left over. $503.22, granted most players will never pay that but the fact that its even possible worries me and the F2P model is already having negative consequences. Elmo from Joypod mentioned on this weeks podcast that when playing a free to play game he is instantly suspicious of when and where the game will tell him “no that’s enough gaming for you!” and ask you to pay up. F2P gaming is beginning to make the player suspicious about where they will get screwed, no matter how well its handled a pay wall (you may call it something else, but lets not kid ourselves) is a game breaking experience and that is a universally a bad idea. I’m sure that games companies will shout “but people don’t want to buy games anymore! What can we do?” well who’s fault is that? By flooding the market with free games consumers are now conditioned to think that games are a commodity or to use another word – worthless. This is a hell of their own making. In app purchases may offer a way out to beleaguered developers keen to generate revenue in difficult times. If that’s the case I have a question for you: when a gamer spends time thinking about when or where they will have to pay up instead of enjoying your creation, does that create a relationship based on trust? I think that, in desperation games developers are trying to make money at all costs, even if it burns the user because they have no where else to go. Want to play one more time? Insert coin to continue – after all it worked for arcades right?